David: Last year, Game of Thrones won its first Drama Series Emmy on the back of what most (including me) believe to be its worst season. The reasons for that were many. Breaking Bad was over. Mad Men had fallen from popular favor. But most importantly, the voting rules had changed. No longer were nominees and winners determined by “blue ribbon” panels of Academy members who had to actually watch all the submitted episodes. Now, anyone can vote. Thrones is the most popular series on TV, and HBO has the largest voting bloc by leagues. Leaving aside the fact that Thrones delivered a jaw-dropping sixth season and probably deserves this win anyway, “deserve” won’t have as much to do with it as consensus. 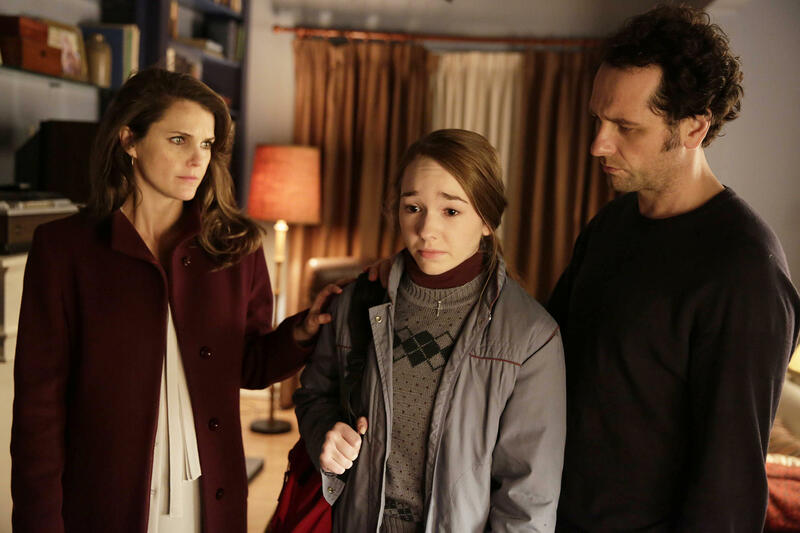 Tyler: The Americans did this season what many post-Golden Age prestige television shows have been afraid to do: ended quietly. Instead of building to a titanic climax, something to be talked about around the blogger cooler, FX’s premiere drama offering calmly executed its brutal human calculus on everyone involved in the spy thriller. Along the way Joe Weisberg and company jettisoned many fan favorites, but did so in a way that was both tragic and fitting. Instead of killing characters or crafting drama through questionable story choice and debatable logic seemingly only designed to either a) appease fans or b) infuriate them (*cough GoT*), The Americans operated on a tightrope of desires and needs, and coldly did away with those who didn’t belong. And, again, the finale is a masterwork of muted exhalation. Chase: This is the typical will win/should win scenario. You can easily make the case for the eternally unjustly snubbed The Americans, but quality alone rarely wins these awards. It’s a combination of quality and buzz that usually gets the job done, and The Americans‘ quiet perfection seemingly can’t ever move that latter needle. Mr. Robot does have the needed combination, but has season 2’s dip in quality doomed its first season’s Emmy chances? I would kill for The Americans to win this award, but Thrones is almost guaranteed to repeat based on all the reasons everyone else has mentioned. Sean: Game of Thrones should easily dominate the ceremony on Sunday, but if Emmy voters are feeling sentimental they could pick Downton Abbey‘s moving final season. The show has remained popular with Emmy voters throughout it’s run. Don’t be surprised to see it pick up a few trophies. David: The recent rule changes simultaneously help and hurt a show like The Americans, which everyone recognizes as great even if they don’t actually watch it. Now it’s gotten the nominations it’s long deserved, but how many voters will devote time to the provided episodes and see how magnificent Keri Russell and Matthew Rhys are? 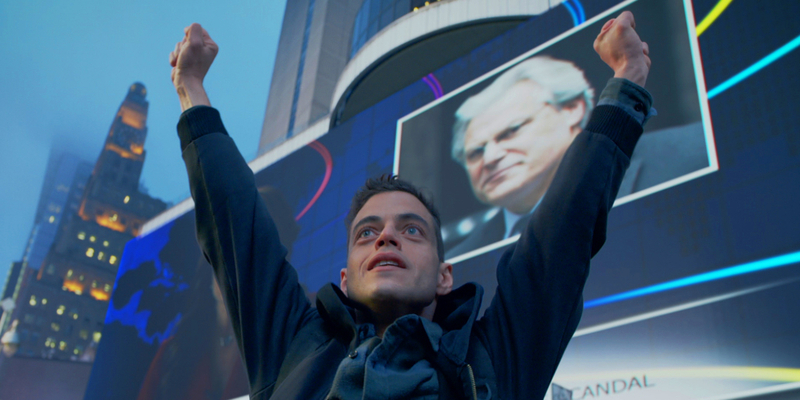 I’d say Russell has a better shot than Rhys, but both of them are staring up at some heavy hitters: for the men, the brilliant Rami Malek is way out in front — mixed reviews on Mr. Robot‘s second season may hurt it in the Series category, but Malek will be fine. For the women, it may finally be Robin Wright’s time, so good for so long on the trashy House of Cards. I don’t expect Davis to repeat, and for Maslany, the nomination is the victory. Tyler: I am going to keep this brief. Keri Russell chopping vegetables in the Jennings’ kitchen is the best acting on television. As funny as that sounds, I’m completely serious. I could gush further about her unstoppable performance in The Americans, but I will not. Chase: Hey! Stop hogging all the Americans love. I’m the one who covers that show for this website, haha! Matthew Rhys and Keri Russell are outstanding, and they both deserves cases and cases of awards. Sadly, they will not win Emmys this year. Mr. Robot‘s second season woes shouldn’t hurt Rami Malek‘s chances as his brilliant, introverted performance hasn’t dropped off an ounce. Robin Wright is due, and it’s probably that simple. Sean: Rami Malek certainly has the buzz, but don’t be shocked to find both Kevin Spacey and Robin Wright headed to the podium. I may not have been crazy about this last season of House of Cards, but there was no denying the fireworks erupting between its two magnetic leads. Wright in particular is beyond due and it would be nice to see both Claire and Frank be recognized at the same ceremony. David: Apologies to Jonathan Banks, but I’m going Thrones for both categories here. The only question is who. Dinklage has won twice and is the easy rubber-stamp, but Kit Harington’s got a great narrative: long-maligned by fans and critics, his steady growth in the last couple of seasons (culminating with Jon’s resurrection, and showcase in “The Battle of the Bastards”) should see him riding atop a wave of Thrones trophies. Ben Mendelsohn, a respected “actor’s actor,” is a dark horse, though. 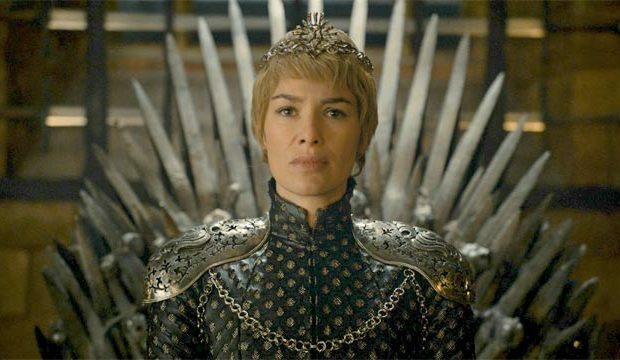 Meanwhile, Lena Headey will be the Throne’s first actress to win, and there’s no debate. She earned it last year, and again this year. Chase: I agree about Lena Headey, but I have trouble imagining Kit Harington winning. Sure, he got much better this year (better late than never, Kit. It’s season freaking SIX! ), but can you go from internet joke to Emmy winner in one season? I have my doubts. Instead, I see the Thrones team splitting the vote and Jonathan Banks winning the award. He’s long overdue, and a Thrones actor stole this award from him last year. His greatness stretches all the way back to Breaking Bad, but he’s never managed to win. That changes this year. David: Miguel Sapochnik, who should have been nominated (and won) for last year’s “Hardhome,” takes Directing in a walk. The funniest thing is that his work on “The Winds of Winter” was even stronger. I don’t expect Thrones to take writing, though. That certainly wasn’t the strength of “Bastards.” It’s a choice between the finales of Downton Abbey (which was…fine) and The Good Wife (which was…not), the terrific pilot of Mr. Robot, and hoping that this is where the Academy throws The Americans a bone. For betting purposes, I’ll take Sam Esmail. Chase: I hate to see the past-its-sell-by-date Homeland taking up a spot that should conceivably belong to someone from the Mr. Robot team, and I’ve always felt a little off about film directors crashing this award (Soderbergh). But none of that will matter. The God Sapochnik is going to win this, the most deserved award of the night. Sapochnik delivered the television equivalents of Saving Private Ryan and The Godfather in consecutive weeks, and he’s going to cruise to this award. I’ll pick The Americans to finally beak through with this writing award as an episode like “Persona Non Grata” showcases the emotional trauma that makes a show like The Americans so compelling. It helps that the show’s creators wrote it, and it allows the Emmys an easy way to honor Fields and Weisberg for their body of work. Sean: Thrones will probably take both categories, but it’s going to be tougher in the writing department. If they had gone with the masterful season finale, “The Winds of Winter”, they may have had an easier time of it. Mr. Robot could gain a big win here, but Julian Fellows is a real spoiler for this crowd. 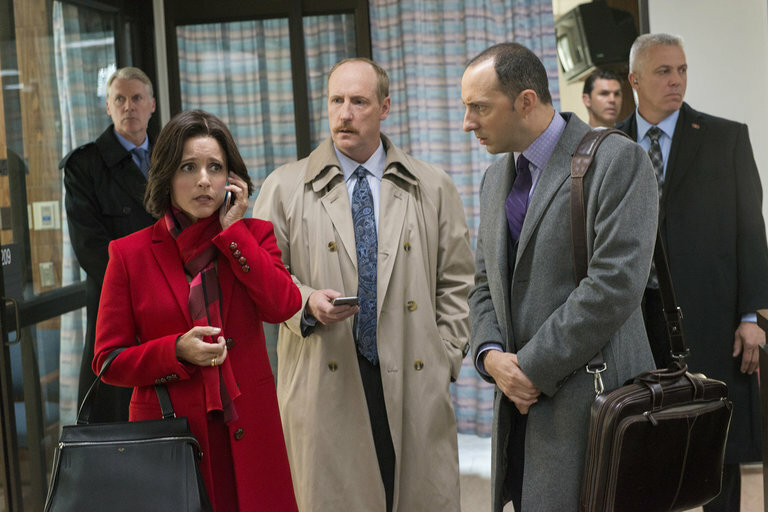 David: Veep finally dethroned Modern Family last year, and there was much rejoicing. There’s no reason why Veep can’t continue a hot streak of its own, but what has the best shot to upset? Silicon Valley has a loyal following, but HBO’s muscle will be elsewhere. Transparent has some in the industry smarting over it being categorized as a comedy. Black-ish is just happy to be here. But Tina Fey’s Unbreakable Kimmy Schmidt has the promotional edge over (superior) stablemate Master of None, and is probably Veep‘s closest competitor. It won’t beat it, though. Tyler: That Veep is turning out to be a less-crazy version of this year’s election cycle is testament to its mastery of pitch black satire. I was terrified at the idea of Armando Ianucci leaving the show last year. Shame on me. Chase: Why can’t Silicon Valley ever break through? Sigh. It’s the perennial little brother to Veep. I actually think that Master of None represents the best of these comedy offerings. I’ve never seen a comedy spring to life so fully imagined. It’s hitting its stride by episode 2! Still, I’ll take Transparent to win an award that’s surprisingly eluded it. Sean: I expect Veep to repeat here, but you have to wonder if they will give Transparent a make-up award. It’s a tough show because it really doesn’t belong in this category and if it qualified as a drama I could easily see it winning there. Yes, even against Thrones. That’s how good the show is. David: Pretty easy calls here, especially on the womens’ side. Julia Louis-Dreyfus has never lost for Veep. One more win would make her the most-awarded comedy actress of all time. Unless there’s a lot more support for Kimmy Schmidt than I think, she’ll make it five in a row. For the men, I expect Jeffrey Tambor to repeat, but watch out for Aziz Ansari, who could get a bump for also being Master of None’s creator and co-writer. Chase: Ditto everything David said. Julia Louis-Dreyfus just doesn’t really have any competition here. 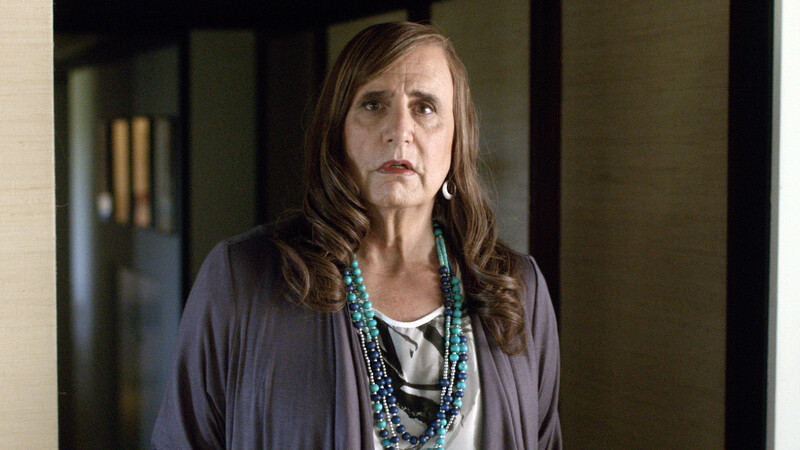 Tambor’s performance is the soul of Transparent, and I can’t fault anyone for voting for it. He’s got at least another year, but Aziz Ansari is gaining on him. Sean: There is no stopping the Julia Louis-Dreyfus train. Normally I’m against the same performers or shows winning year after year, but Selina Meyer is Dreyfus’s seminal comic creation. Every year she and the show top themselves. She deserves to keep winning as long as the work remains that good. Jeffery Tambor will likely win again for his touching work on Transparent, but this may be the last time as I assume voters are going to want to eventually award more classically comic performances for this category. David: More repeats, probably. The Actor race is the more fascinating: Andre Braugher is a national treasure; Louie Anderson is the critic’s choice; Tituss Burgess should have won last year and may get a make-up award. But it’s probably between the two guys from Veep, and, while I think Matt Walsh had the better season, Tony Hale will coast to another victory. In Supporting Actress, I’ve never bet against Allison Janney, and I won’t start now. Kate McKinnon would be a fun choice, though. Chase: I do not want to see Allison Janney win. She’s great in everything, but I honestly think they’d giver her the award if she did nothing but read the phone book on-screen this year. Let’s throw some darts, shall we? Tituss Burgess is so much fun on Kimmy Schmidt, and Kate McKinnon is too on SNL. Sean: Kate McKinnon has the buzz this year thanks to her overpraised Ghostbusters turn, which will help her tremendously. It would be nice to see Matt Walsh take this for his underrated work on Veep. David: Nothing would make me happier than to see Master of None’s groundbreaking second episode, “Parents,” win both of these. If the voters feel like sharing the wealth, Aziz Ansari will take it for writing. Otherwise, the Veep train keeps rolling, with “Mother” the likely choice over the rest of the field. I’ll predict Master for Writing, but Dale Stern for Directing. Chase: As much as I adore Master of None, I didn’t love “Parents” as much as everyone else did. “Mornings” would have been my choice. Still, I’ll take both Master of None because I’m tired of seeing Veep win seemingly everything. Sean: Veep should sweep, but Master of None was the big breakout this year and it has to win somewhere. Writing seems like its best bet, but how strange is it that Transparent missed in what is arguably its strongest aspect? David: We are now knee-deep in an Anthology Series boom, and many of these are as good or better than their Drama nominee counterparts. But this year there’s only room for one 800-pound gorilla, and that’s FX’s The People v. O.J. Simpson. Only Fargo is close, and while I desperately want it to win somewhere, it won’t be here. People v. O.J. is too in the zeitgeist, too important, and just too good. It got more total nominations than any series not named Game of Thrones, and should have a huge haul on Sunday. TV Movie, though…eh. All the Way, I guess? Tyler: Having been a true crime guy for a very long time, I found the FX OJ series somewhat hollow compared to the later 30 for 30 documentary. Fargo, on the other hand, somehow managed to craft a more human story out of what was initially an intensely, messily sprawling narrative that felt a little like Noah Hawley over-stretching his means. Yet bit by bit, focusing on the human moments in each relationship and latching himself most tightly onto those who might be righteous enough, or lucky enough, to survive, Hawley built a story that not only matched his titanic first season, but surpassed its narrative satisfaction with a final three episodes to rival anything that’s been on TV in the last year. Chase: I’m so excited to get to the TV movie and miniseries categories! You could easily make the argument that People v. O.J. Simpson and Fargo were the two best shows of the year. Period. End of sentence. They are both titanic masterpieces, but I’ll pick People v. O.J. Simpson to win because, despite being about a twenty-plus-year-old murder, it felt so of the moment. All the Way for TV movie, but I’m considerably less caring about it. Sean: No, nothing is beating The People v. O.J. Simpson in any of these upcoming categories. And nothing should. It was the best thing on television in any category last year. 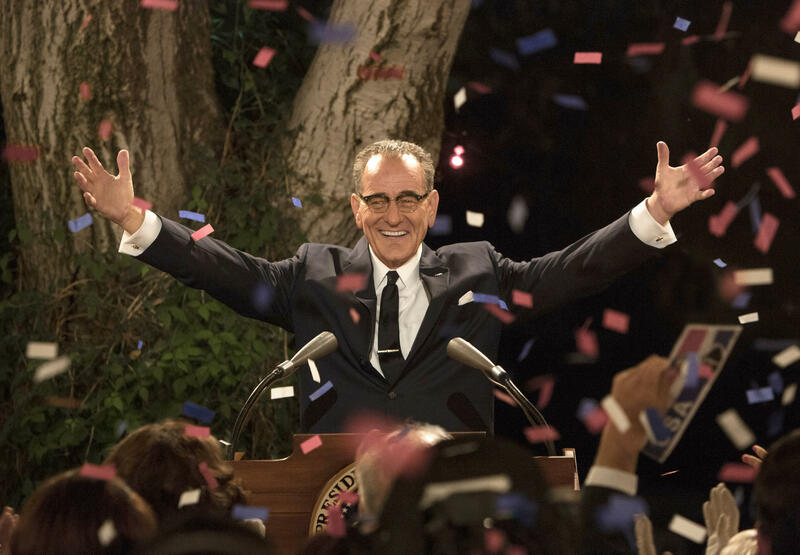 HBO’s All the Way will quietly pick up the TV Movie category with little fanfare. David: Look, there are some great performances here. Idris Elba is always great. Kirsten Dunst was great. But Courtney B. Vance and Sarah Paulson gave the two best performances on TV, period, in any category, full stop. Game over, man. Chase: Agreeing with David again. Vance and Paulson are cruising to these awards. Sean: Finally, the best actress working on television will get her much overdue Emmy award and it (surprisingly) won’t be happening for American Horror Story. I’ll be toasting Sarah Paulson when she gets to the podium on Sunday night. David: The Supporting Actor category here is my toughest call of the night, and the one where I’d be happy with anyone — well, maybe not Travolta, though I liked him more than most — winning. Will People v. O.J.’s success elsewhere lift Sterling K. Brown, pitch-perfect as doomed prosecutor Chris Darden? Or will the charismatic Bokeem Woodbine place a flag for Fargo? Noah Hawley’s series has its best chance in the Actress category, where Jean Smart faces less competition than her male counterparts. 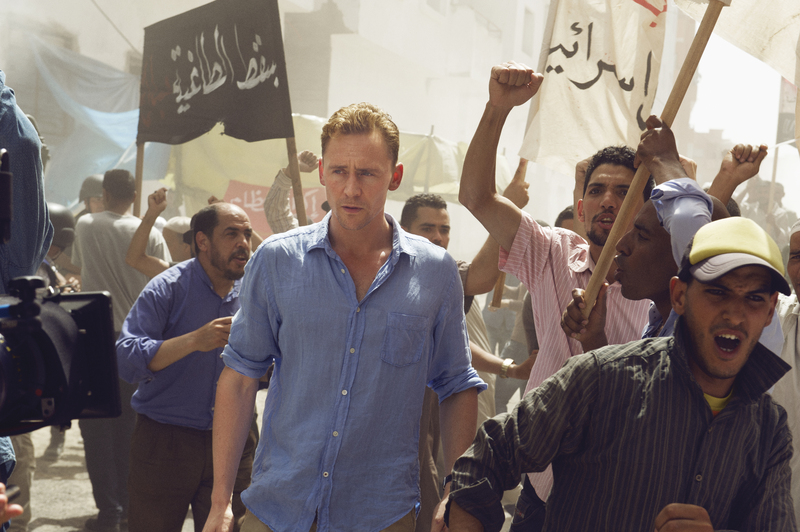 Regina King could repeat, but you can’t entirely overlook The Night Manager, either: Hugh Laurie never won for House, so some voters might think he’s due, and Olivia Colman was the best thing about the series, as she usually is. Tyler: I vacillated at points between thinking that Bokeem Woodbine was just another Noah Hawley uber-bad guy in the Billy Bob Thornton mold. But towards the end of the second season of Fargo, Woodbine ascends to something far more aspirational in his portrayal of Mike Milligan. Throughout his innumerable obstacles, Woodbine portrays Milligan with a steely-eyed trust in the result that calmly, succinctly states – “I am in control, but I do what I do for a reason.” Where Thornton’s Lorne Malvo traded in Coen Brothers nihilism, Woodbine makes Milligan a human figure, lured by the promise of the great economic expansion. The Grand West (or North, in this case). Milligan’s last, ultimately tragic scene was enough to seal this one for me. Chase: This is where Fargo can pick up some awards over O.J. Simpson. Bokeem Woodbine benefits from Courtney B. Vance being labeled a lead actor, and deserves to win this award. Same for Jean Smart who benefits from the lack of supporting female characters on Simpson. 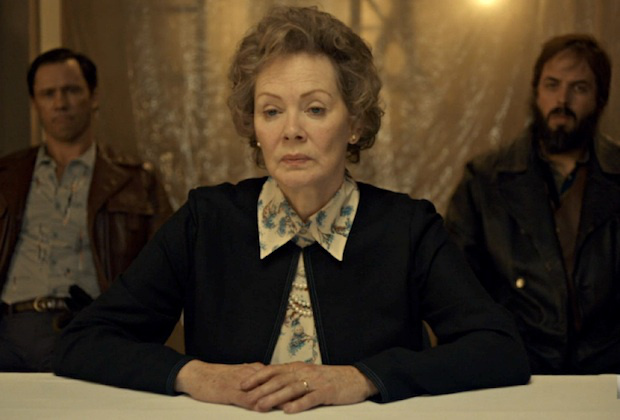 Sean: Unless voters go Paulson crazy and decide to give her two in one year, Jean Smart should be representing the only major Fargo win on Sunday evening. David: People v. O.J. wins both, but which episodes? While I think “Marcia, Marcia, Marcia” was the high point in a series full of them, voters will likely reward the three men who brought the series to life: writers Scott Alexander & Larry Karaszewski, and director Ryan Murphy. “From the Ashes of Tragedy” in both categories. Tyler: How on earth did “The Castle,” Fargo’s utterly masterful climax, not get nominated for directing? But I suppose that’s not what this is for. “Loplop” is a fantastic chamber piece of a lead-up in which Kirsten Dunst goes officially crazy-go-nuts in the face of an old World War II-era b-movie freakout. The scene encapsulates one of the core theses of Fargo, elsewhere shown in the brutal Hanzee mass murder earlier in the episode; the ghosts of our past, collectively or individually, reside within our subconscious, guiding every decision we make until we are eventually undone by them. It’s a masterful bit of writing. Chase: The writing on O.J. Simpson was the secret weapon. I really have no idea here, but honoring show creators is always an easy out in stacked categories. “From the Ashes of Tragedy” gets my vote. Sean: Personally, I’d be picking John Singleton’s episode “The Race Card” for my vote, but show creator Ryan Murphy is likely to triumph here. And I expect the writing award will go to the same episode. David: Last Week Tonight won the award for writing at last week’s Creative Arts Emmys, and should coast to its first series win here. The bigger story is what’s not here: voters clearly haven’t warmed to Trevor Noah’s Daily Show, and Stephen Colbert’s Late Show has been outshone by James Corden’s celebrity antics. We’re also missing Samantha Bee’s Full Frontal, though it did pick up a writing nomination. Still, Last Week Tonight deserves the win, and it will. Finally, as for Reality Competition, I only included it in this piece because I wanted to whisper to whoever has actually read this far that I enjoy American Ninja Warrior, and I will laugh heartily if it upsets The Voice. Chase: Last Week Tonight deserves to win, but since when has that ever mattered? The Daily Show spent years winning awards that Colbert Report deserved. Hell, Daily Show won the award that Last Week Tonight deserved LAST YEAR! 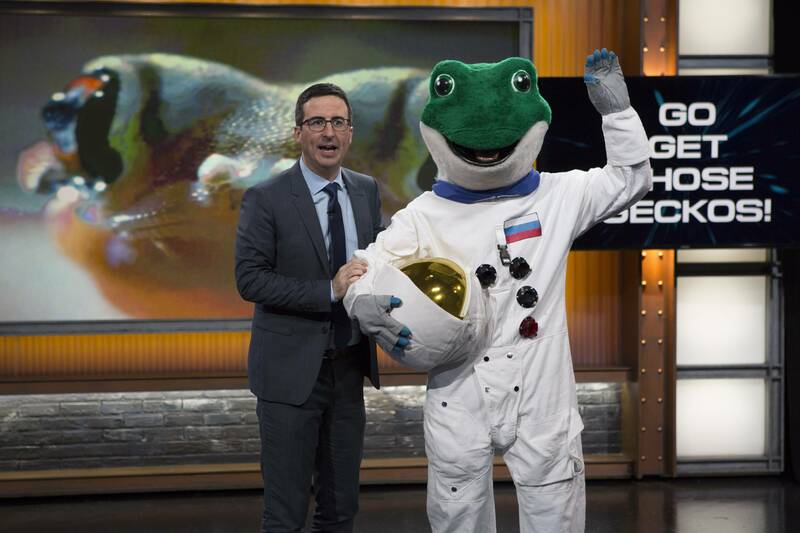 But with Jon Stewart gone, Last Week Tonight looks primed. The Voice is absolute trash, so I will pick The Amazing Race out of spite. Watch the Emmys Sunday night on ABC.